Experience the magic of University Circle with a holiday tradition of concerts and a variety of jubilant events! 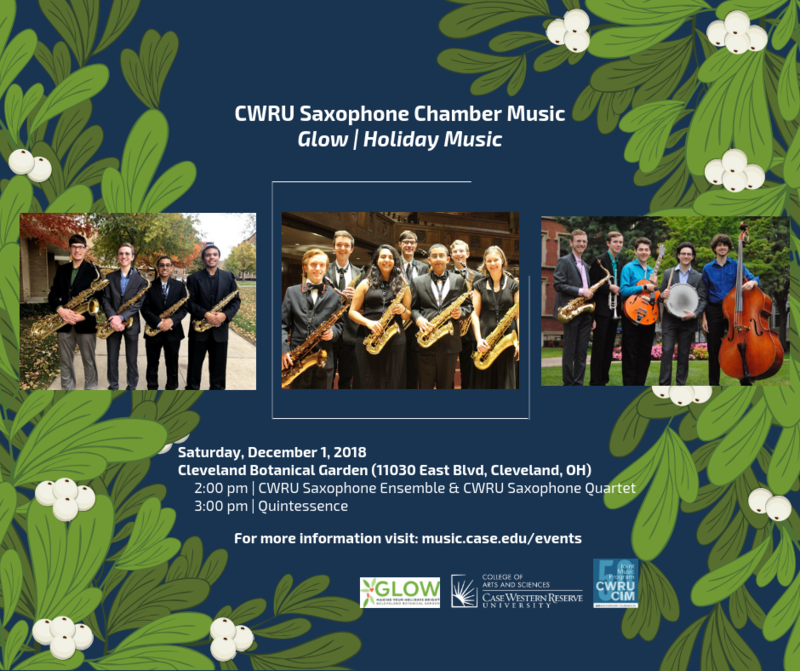 Enjoy all the wonders of the holiday season, including live performances by student musicians from the joint program of the Case Western Reserve University Department of Music and the Cleveland Institute of Music. 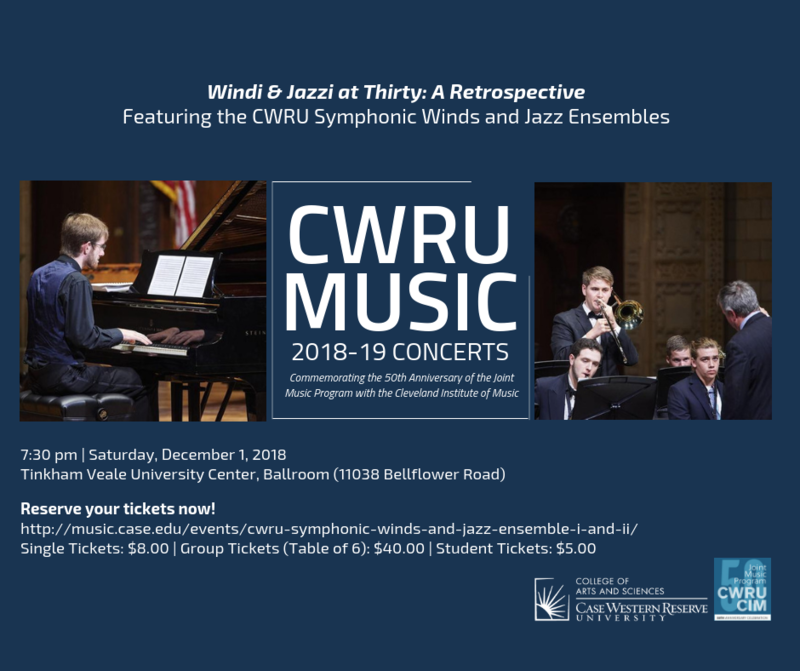 Under the direction of saxophone faculty, Greg Banaszak, enjoy an afternoon of classical, jazz and holiday hits! This much-anticipated event will take place in the beautiful Tinkham Veale University Center Grand Ballroom. This is a general admission event. Patrons may choose their seats upon arrival or reserve tickets in advance. 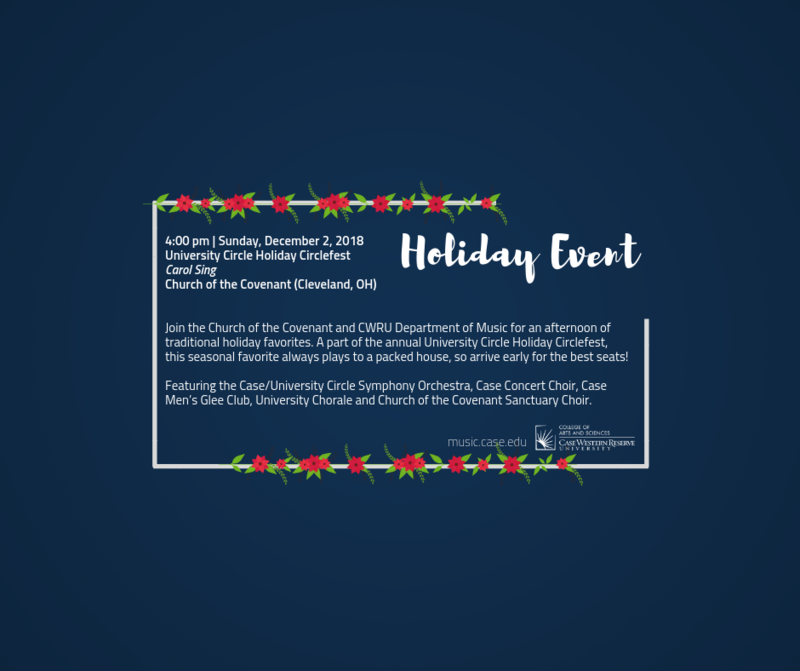 Paid parking available in the Severance Hall garage or at the meters along East Blvd and Bellflower Road.